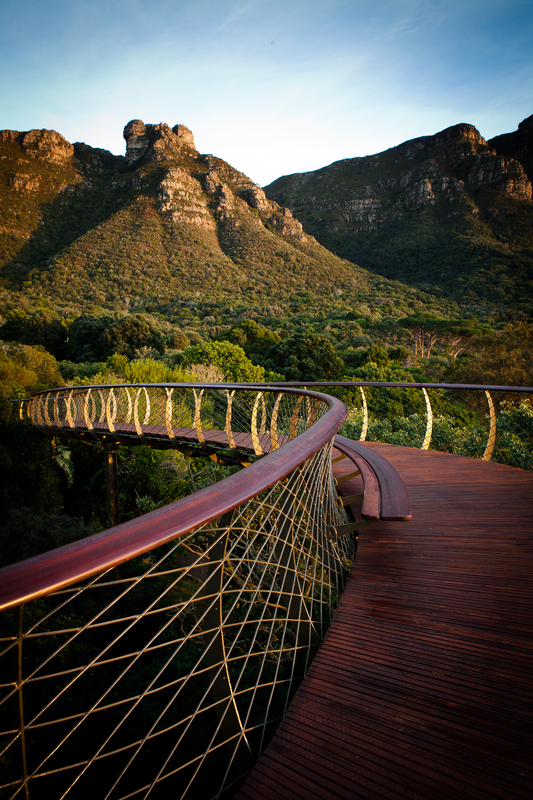 In time for World Environment Day on 5 June, as well as being an official World Design Capital 2014 project, Kirstenbosch’s highly anticipated “Boomslang” walkway has opened and, well… Just go! 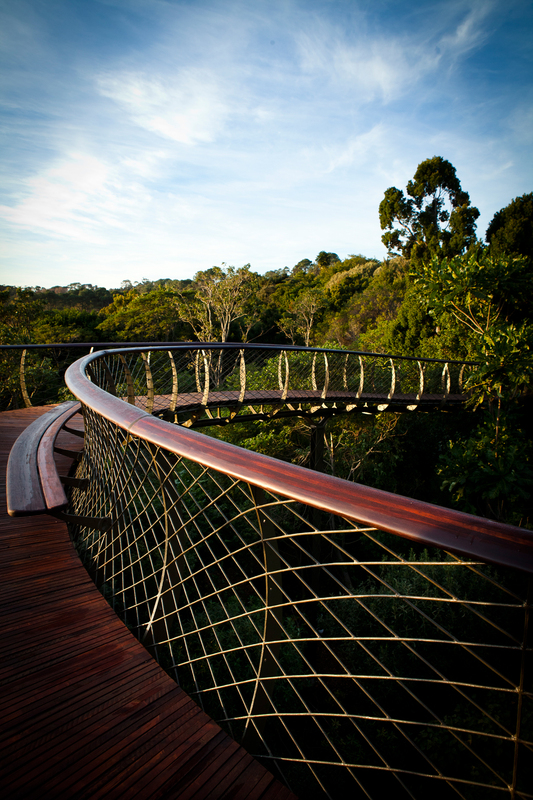 The Kirstenbosch Garden’s brand new 130m-long tree canopy walkway – nicknamed Boomslang – will take your breath away. 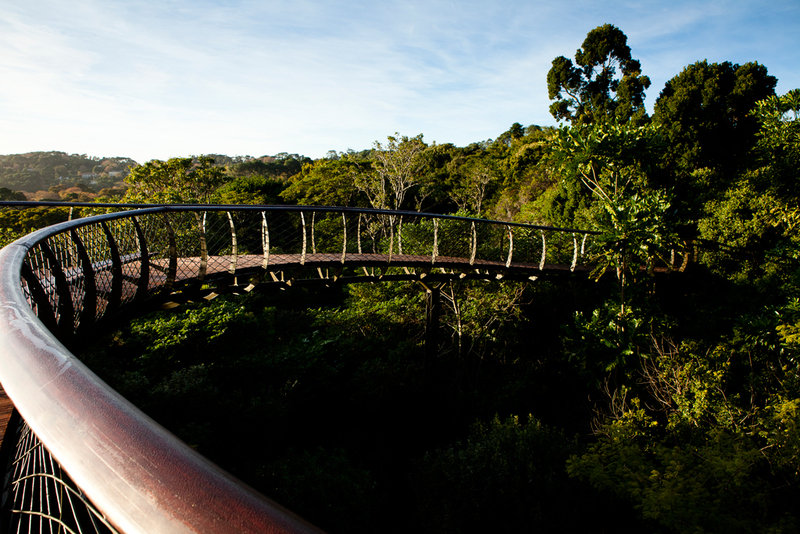 And not just because it winds all through the leafy branches of ancient trees in the arboretum, but because the views of the mountain and forest are truly spectacular from here. 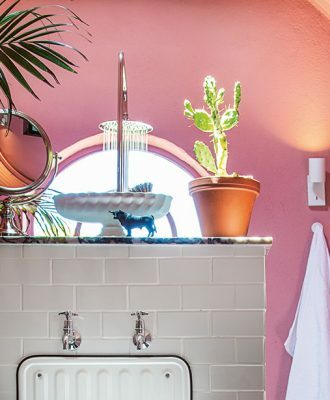 We also especially love that it bears the touch of a fine artist. It’s true. 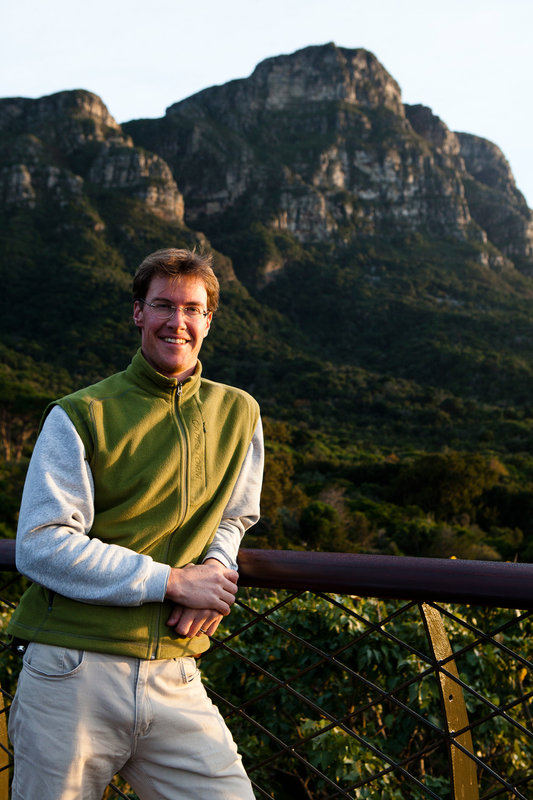 It took award-winning Cape Town painter Ian Grose to mix a green palette, combining all the shades he saw around the arboretum and then perfectly match the green of the galvanised steel construction with the forest. This way the walkway will not be obtrusive but blend in beautifully with its natural surroundings. And boy, did Ian get it right. But, let’s go back to the beginning. 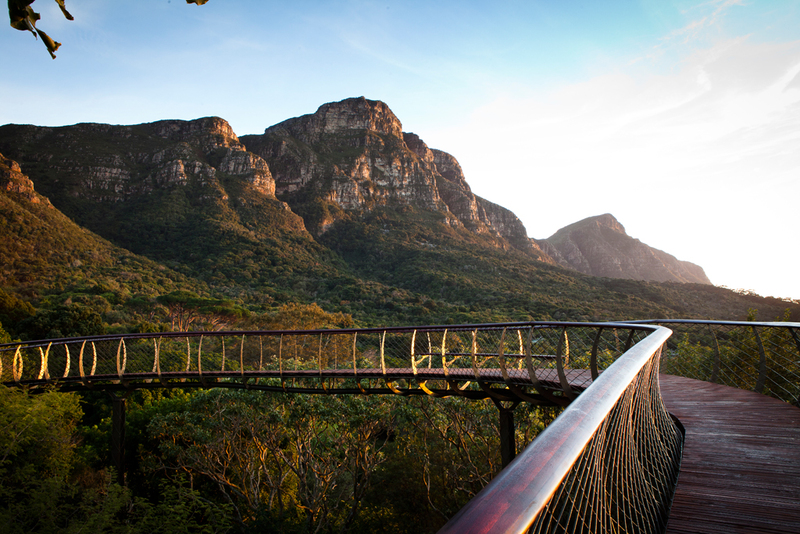 Designed by architects Mark Thomas and Christopher Bisset, and celebrating Kirstenbosch Garden’s centenary in conjunction with the WDC2014, the crescent-shaped walkway was financed purely by money left to the Gardens by donors, especially one Mary Mullins. Like they say about all good things, it took a while. 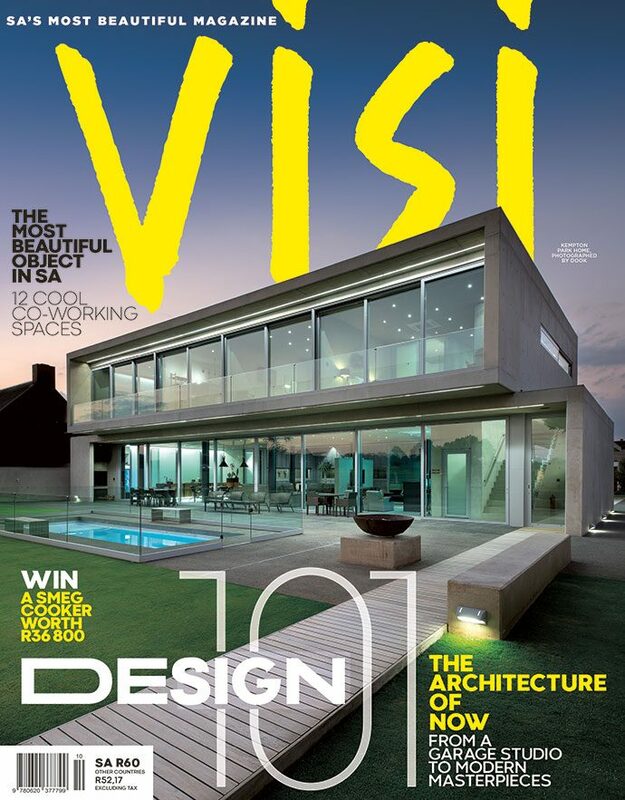 Planning started back in 2012 and only a year later did time come for on-site construction. Fitting all the walkway’s parts together was also time-consuming as things like carpentry and painting had to be negotiated around trees that are between 100 and 150 years old, high above ground level. Then there was a small crane thrown in the mix of all this, moving it around the forest floor proved quite a challenge. 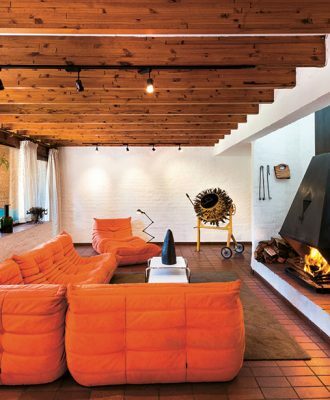 It was used to hoist up all the components to be bolted together on supporting columns. Crafting the handrails, made of Padauk, a West African sustainable hardwood, also got complicated and had to eventually be laminated together in various places to match the curve of the bridge. It was worth the wait, however. 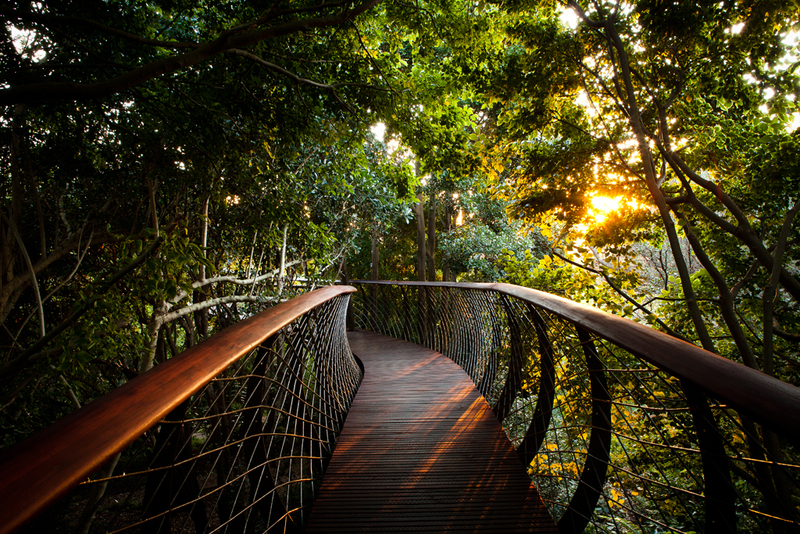 Kirstenbosch Garden’s newest walkway, in all its architectural magnificence, looks like it has been part of the forest forever.